I enjoy helping people find the perfect accommodations for their Maui vacation. It can be one of the most important decisions in the trip planning. So here is some information to get you started. Once we start emailing, I will assist you in more specific details and eventually in booking the best choice to meet your needs. First, consider what type of accommodations you need. ~ Resort hotels are great for those looking to be pampered, no cooking, restaurants on property, daily housekeeping and pools with slides. Many packages include daily breakfasts or free nights. Though often the better deals are on room only. ~ Condos are great for those who need additional space such as families. Condos offer the full kitchen, as it is nice not to have to eat out every meal. Having a second room for the kids offers privacy for the parents. Plus, it is usually more affordable than hotels. ~ Private Homes sound great, however, they can be quite pricey. Especially if you are looking for something with just 2 or 3 bedrooms, usually a condo will work just as well for 1/2 the cost. But if you are looking for a special retreat for a family gathering, desire a place where you can all gather to eat, have a private pool and cost is not the biggest issue, then consider a private home. Definitely plan well in advance for the best choices. Second, decide on an area of Maui. Location can be a difficult choice and once you decide, you might second guess your choice. But figure no matter where you stay, you are still in Maui and most everything is within a relatively easy drive, except Hana. Let’s break it down; the two most commonly referred to accommodation areas are West Maui and South Maui. West Maui consists of Lahaina, Kaanapali, Honokowai, Kahana, Napili and Kapalua. 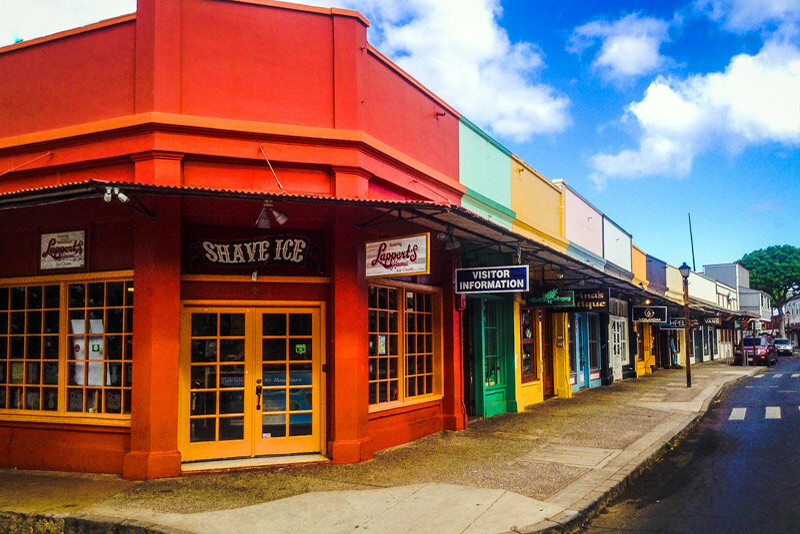 Lahaina is an old whaling town, historical and hot, especially in the summer. Lahaina translates to merciless or cruel sun. There are a few small hotels, a few condos, some beautiful private homes and an assortment of inns. Plenty of restaurants, shops, art galleries, activities, nightly entertainment and a bustling boat harbor. 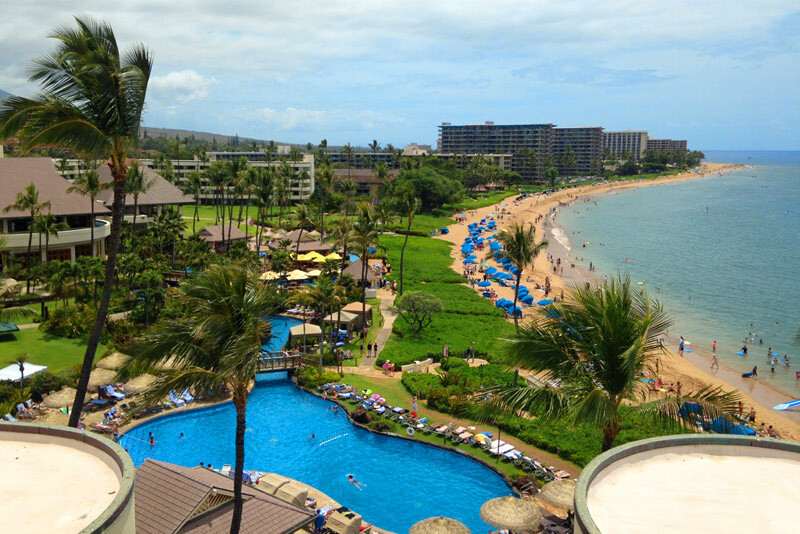 Kaanapali Beach Resort is a top rated destination resort. 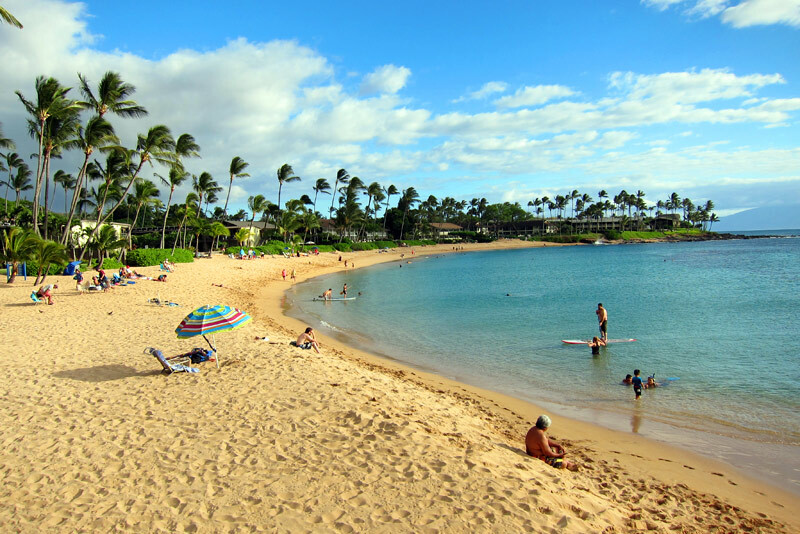 Kaanapali Beach is a beautiful beach, great location for snorkeling, SCUBA, boogie boarding and walking the beach. A few boats depart here for snorkel and sunset sails. 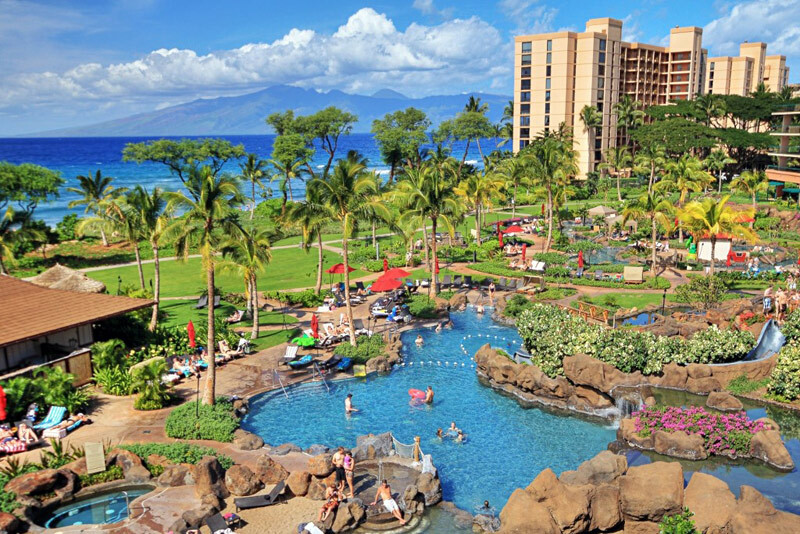 The major hotels and condo properties on the beach are the Hyatt Regency Maui, Maui Marriott Ocean Club, Kaanapali Alii, Westin Maui, The Whaler, Kaanapali Beach Hotel, Sheraton, Royal Lahaina, Maui Kaanapali Villas and the Westin Kaanapali Ocean Resort Villas. There is a beach walk so you can easily get to all the hotels and to Whaler’s Village for shops and restaurants. 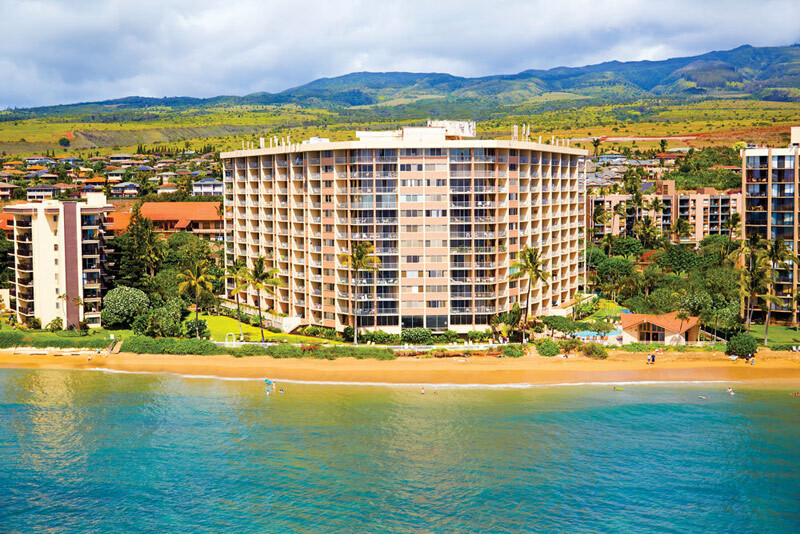 Honokowai is also known as North Kaanapali and some of the condo properties here have the Kaanapali name. Technically the beach is still considered part of Kaanapali Beach, however, this is not part of Kaanapali Resort. The beach in this area becomes a bit narrower, but properties like the Mahana, Maui Kai, Kaanapali Shores and the Honua Kai have excellent ocean front rooms. There are also numerous smaller condo properties, some with beach and some with rock wall fronting the ocean. Shops and restaurants are close by, with a handy little Farmer’s market and a favorite restaurant of mine Honokowai Okazuya Deli. Kahana is where I have lived for 20+ years. I love this little town. Plenty of affordable ocean front properties, with shops and restaurants within walking distance. Kahana can be a bit breezy throughout the year. But if you take a day trip in the summer to Lahaina, you will welcome the cooler trade winds when you get back. Most properties in this area do not have A/C, the trade winds keep it cool at night. Napili is a small area with plenty of small condo properties along the ocean. A few are tucked in along Napili Bay, one of my favorite beaches on Maui to swim and snorkel. 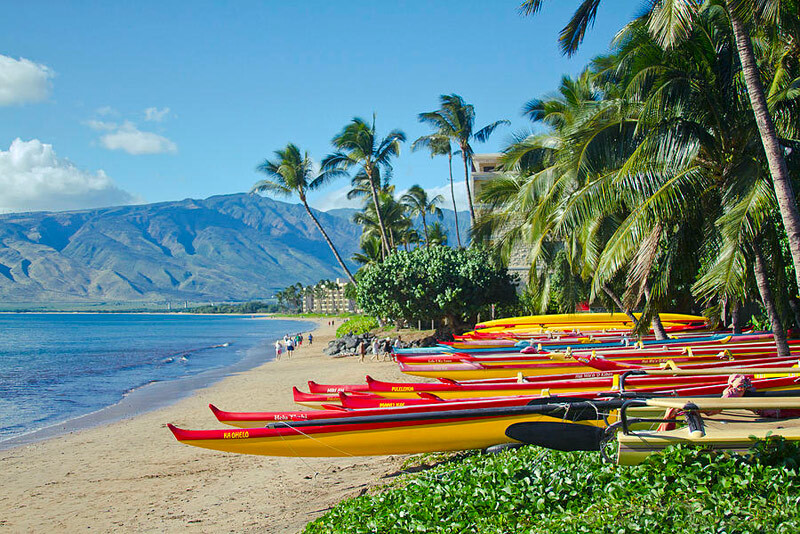 Napili Bay typically is quite calm with a large sandy beach, perfect for snorkeling and Stand up Paddle boarding. 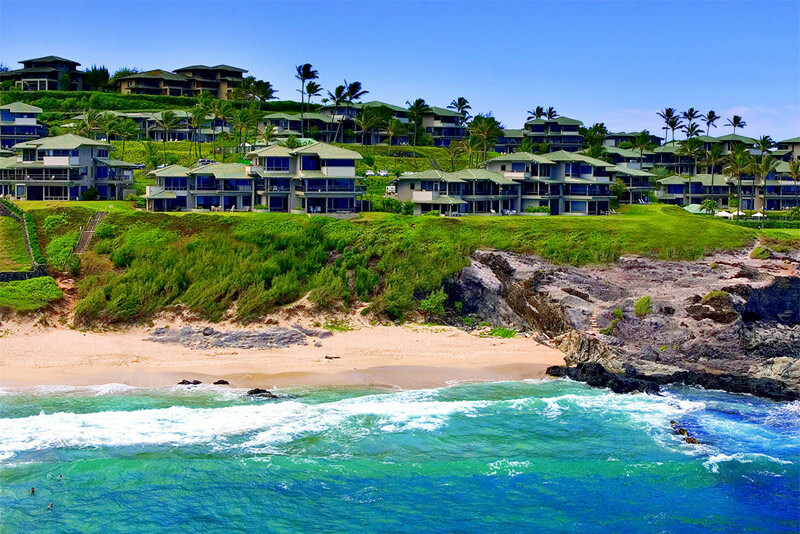 Kapalua is host to Kapalua Villas and the Ritz Carlton Kapalua. The weather in Kapalua can be windy and rainy at times, more so in the winter months. Summer months in Kapalua are beautiful. Great choice for couples during peak travel times as a place to escape. Kapalua also has two golf courses, the scenic Bay, and the challenging Plantation Course. South Maui consists of Kihei, Wailea and Makena. The weather in South Maui is known to be dry most of the year round due to the shadowing of Mount Haleakala. The wind and weather are blocked by this 10,000 foot dormant volcano. However, this area tends to be more desert like due to the lack of rain. Plenty Kiawe trees grow naturally in the rapidly decreasing open spaces. South Kihei has some beautiful beaches, Kamaole I, II, and III and Keawakapu Beach. There are plenty condos across the street from the Kamaole beaches. And I like the Mana Kai property that sits at the north end of Keawakapu Beach. It also hosts Five Palms restaurant for a nice sunset dinner and plenty of shops and restaurants along the Kihei Road strip. Kihei is often divided into North Kihei and South Kihei especially when it comes to accommodations. Kihei is abundant in affordable condos on both sides of the main road, North or South Kihei Road. In the North Kihei area I like Sugar Beach condos that sit right on Sugar Beach, great for walking and sunning. Also, North Kihei offers easy access to the roads to Lahaina, Wailuku and Kahului. 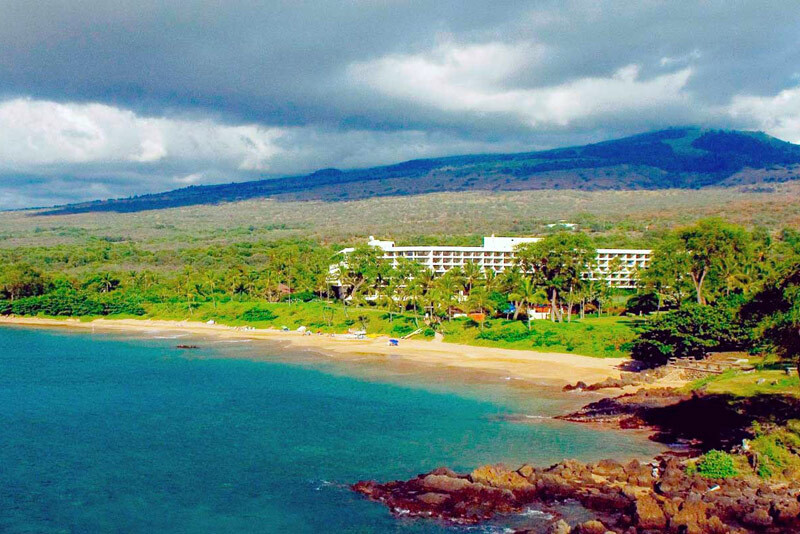 Wailea is a beautiful resort area with excellent beaches, snorkeling, golf and tennis. The major resorts here are the Wailea Marriott, Grand Wailea, Four Seasons Maui, Andaz Maui at Wailea and the Fairmont Kea Lani. The Shops at Wailea have a wide choice of shops and dining. Wailea is host to the Maui Film Festival, held in June. There are a few condo properties in the Wailea resort also, many resemble more like town homes, not apartment buildings. And finally Makena. Makena Beach Resort closed in 2016. So, currently there are only a few options in the area such as the luxury Makena Surf, and some spectacular private vacation rental homes. There are other areas of Maui such as Maalaea, Olowalu, Upcountry, Hana, Paia and Huelo that have visitor accommodations. Rarely do I have requests for accommodations in these areas. If you have interest in one of these areas, please let me know and we can discuss it further. Hopefully, with this basic information in hand you have narrowed the choices down to an area and type of accommodation. I will look forward to hearing from you soon to assist you in choosing a specific Maui Property that will be perfect for your vacation. 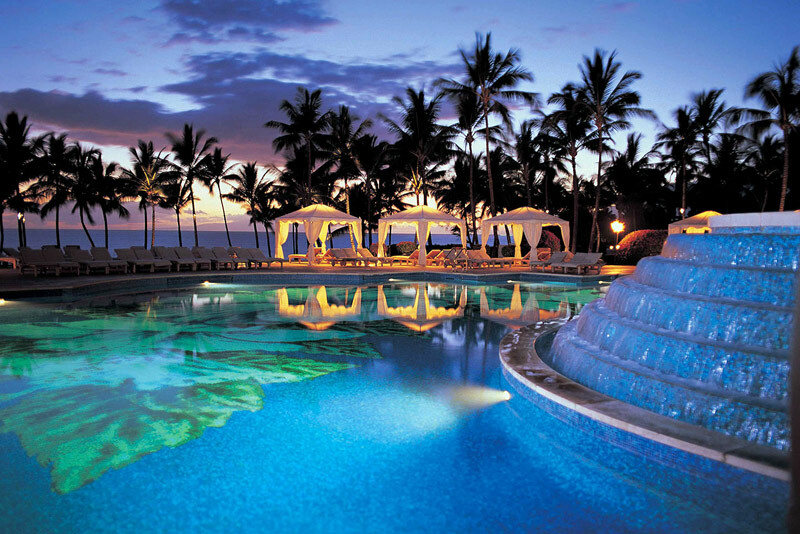 At Maui Vacation Consultants, we take your vacation ideas to a whole new level. Offering personalized services to maximize your stay in Maui. We aim to find you the perfect accommodations to suit your every need. We know the best activities and dining experiences Island wide. Need extra services or travel arrangements? We've got you covered. We are your Maui vacation specialists. Let us assist you in planning a spectacular Maui vacation! Copyright © 2019 Maui Vacation Consultants.